Local buildings and designs will soon get orchid’d or onion’d, “Hamilton” is coming to town and more in our weekly digest of the region’s arts and culture news. Melissa Walter had a job at NASA. She did graphic design, illustration and social media, mostly for NASA’s Chandra X-ray Observatory. She loved the job, but she also started obsessing over the fine art she was making at home in her spare time. At the end of 2015, she decided to take the leap: She quit her full-time job so she could become a full-time artist. In a new episode of Culturecast, Voice of San Diego’s podcast about arts and culture, I talk to Walter about her transition to full-time artist, and the science-based art that’s been fueling her success. Many artists who quit their day jobs flounder, at least in the beginning. But Walter has quickly flourished, scoring group and solo shows, plus residencies that have allowed her to explore large-scale installation work. She’s also the subject of a new documentary by The Artist Odyssey, a San Diego production company that produces short films about artists for its subscribers. The interest in Walter’s art stems, in part, from her perfectionism. She’s a bit obsessive-compulsive, which means she’s able to intensely focus on her work and use time-consuming processes – like using thousands of tiny dots to create a shading effect – that result in attractive, detailed geometric images. People also appreciate her exploration of astrophysics and astronomical objects. Because of Walter’s background in science-based illustrations and graphic design, she’s got a knack for turning complicated ideas into intriguing and meticulous minimalist drawings, sculptures and installations. But even those who glaze over the dark matter, gravitational waves and other complicated concepts at the center of her art can still enjoy the clean images she creates. Subscribe to Culturecast on iTunes. Stream it here, or listen to past episodes here. It’s big, bold and gaudy as hell. 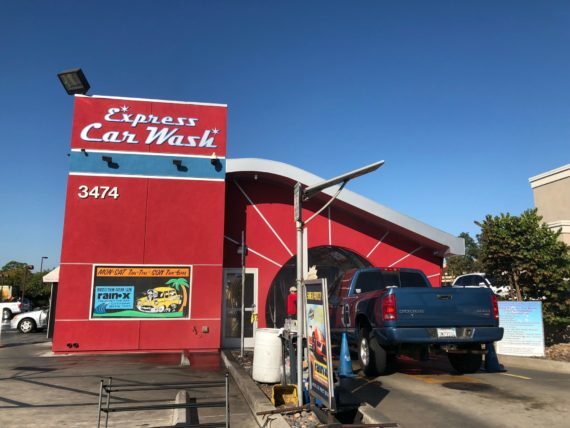 Lemon Grove isn’t alone – car washes everywhere often employ garish architecture and end up looking stuck somewhere between futuristic and retro. A new car wash in Bay Park has provoked the ire of neighbors for putting its tackiness on bright neon display. The building is one of a handful of new projects in San Diego nominated for Thursday’s Orchids & Onions Awards, the San Diego Architectural Foundation’s annual look at the best and worst of the region’s built environment. “The disco club-like design does not match the style of the surrounding neighborhood and is despised by many neighbors,” writes the anonymous person who nominated the Bay Park car wash on the Orchids & Onions website. Some of this year’s nominated “Orchids,” or examples of architecture and design that neighbors like, include the new Imperial Beach Library, the interior of the False Idol tiki bar in Little Italy and a new sculpture by San Diego artist Christopher Puzio for an apartment complex in La Jolla. Other nominations for “Onions,”or the designs that folks don’t like, include the San Diego International Airport’s Rental Car Center (which is decked out with thousands of dollars’ worth of new public art) and the drive-thru Starbucks on El Cajon Boulevard. Winners will be announced at Thursday’s event. 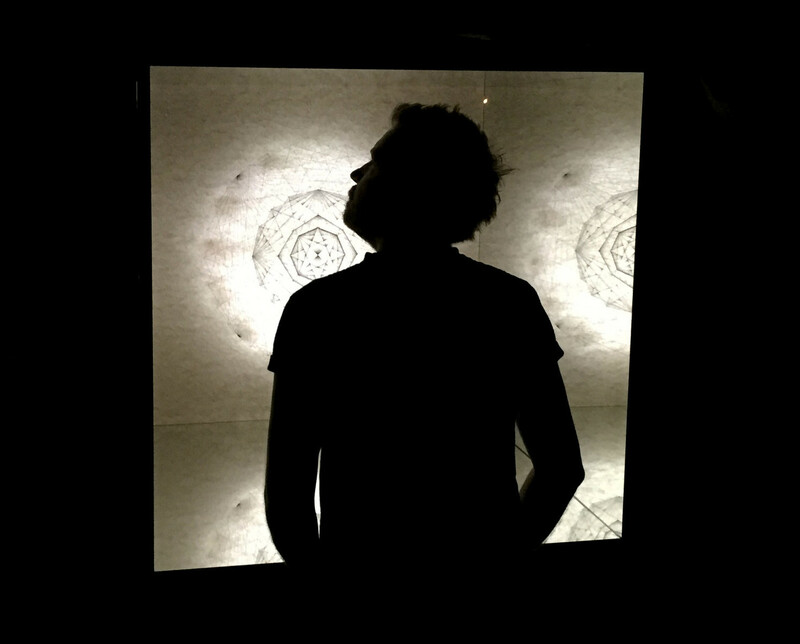 • The La Jolla Playhouse’s Without Walls Festival made it into the New York Times’ daily video feature. • Toshiro Abbley was told early on that he’d have to dance better than anyone else if he wanted to succeed in ballet as a black man. 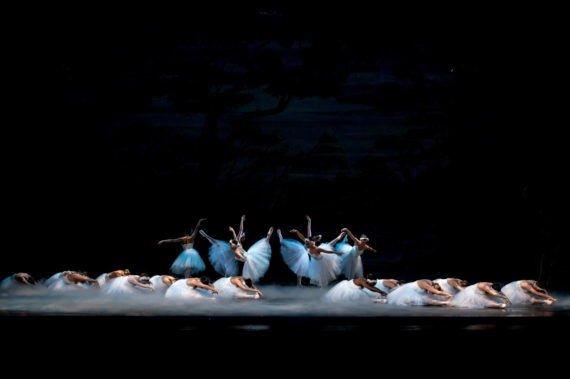 The Union-Tribune has a profile of Abbley, who’s starring in the the California Ballet’s presentation of “Swan Lake” this week. • The annual Medium Festival of Photography is happening this week. • An exhibition featuring more than 40 works of decorative stitched quilting from the Mingei International Museum’s collection opens Saturday. • There are all kinds of Halloween events this weekend, including a parade, a party in the Gaslamp, a creepy block party, a pumpkin-carving contest at a brewery, a celebration at Liberty Station and Halloween Family Day at Balboa Park. There are also all kinds of Day of the Dead celebrations, including Sherman Heights Community Center’s annual festival, The Old Globe’s community events and performances, Old Town’s celebration and more. • Fall in love with San Diego all over again (or for the first time, if you’re a transplant who hasn’t given in to San Diego’s charms quite yet) by reading CityBeat’s annual round-up of the best things our city has to offer. • See one-of-a-kind artsy surfboards by Tim Bessell at an exhibition opening at a new gallery and library space at the St-James-by-the-Sea Episcopal Church in La Jolla. • Longtime radio personality Chris Cantore has launched his own podcast network. In one of the shows he hosts, he interviews Fip Buchanan of Avalon Tattoo II in North Park, one of the first tattoo shops in San Diego. • Learn more about the Convoy District’s transformation into an Asian food and entertainment district at a panel discussion Thursday morning. • CicloSDias San Diego will close streets to cars in Little Italy, the Gaslamp, East Village and Barrio Logan on Sunday. • San Diego New Music’s new season opens this week. • The San Diego Museum of Man wants you to share your deepest secrets. It’s all part of a big exhibition opening next year. • The Mojalet Dance Collective’s upcoming performance looks trippy. • Olivewood Gardens and Learning Center is hosting a dinner with Trish Watlington, a local restaurant owner with progressive ideas about food.